One of the best parts of living in Central Florida in general, is that we often have great weather with lots of sunshine. This is why so many people in the area spend their time outdoors instead of cooped up in the house. 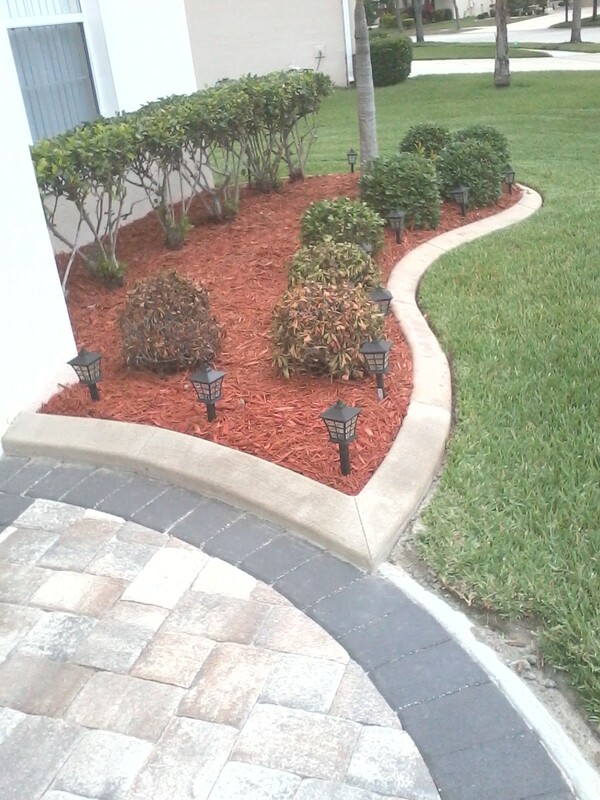 Homeowners around Orlando are looking for unique and exciting ways to spice up their landscape design. First impressions are the most lasting. This saying not only applies to meeting people for the first time, but also in design. The first impression of a house is the landscape – or lack there of. A poorly designed and ill-tended yard severely impacts the impression of a house. 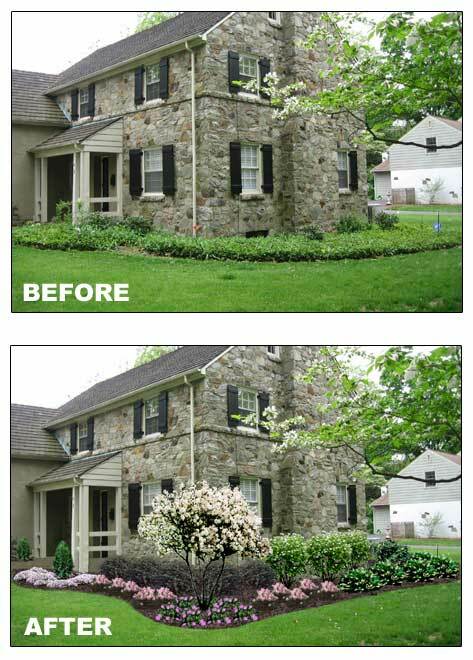 So the question is: Does your home have Curb Appeal? 2014’s landscape and gardening trends are all about personalizing your outdoor space to suit your own tastes and making the impression that mirrors your personal style. This idea revolves around themes of sustainability, color, low-maintenance, and carefully chosen details. 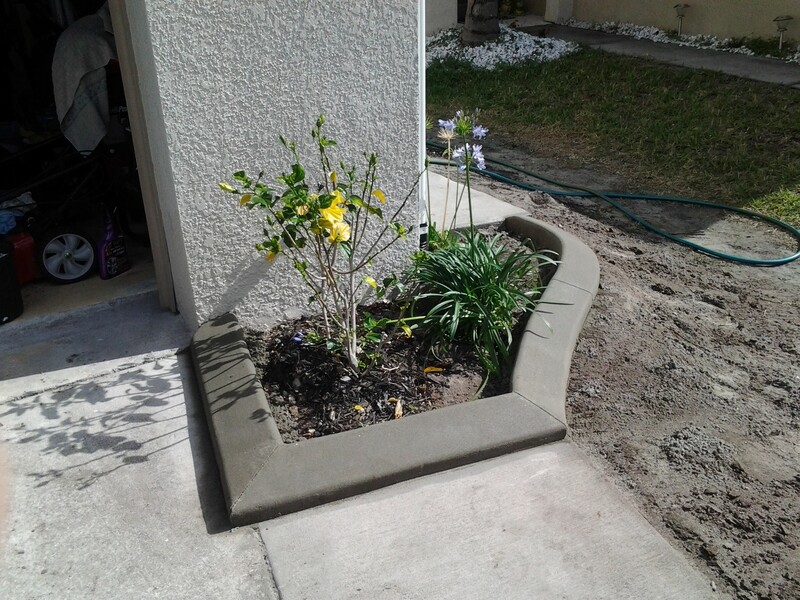 Always affordable and at once both decorative and functional, concrete garden edging effectively defines garden beds, tree surrounds, and driveway curbs, their versatility enabling you to match any landscape contour. 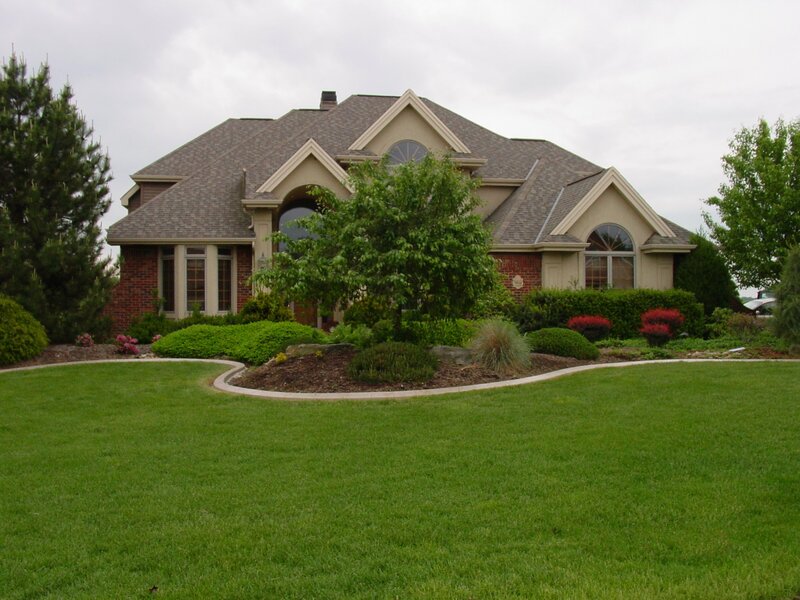 Concrete Landscaping Borders are to “frame” your landscape and home – not take away from it. That’s why I like the picture above so much – you don’t even notice the border – but your beds will always stay in shape! For more information on how we can transform your yard into a beautiful and attractive retreat, please give us a call for your free estimate! 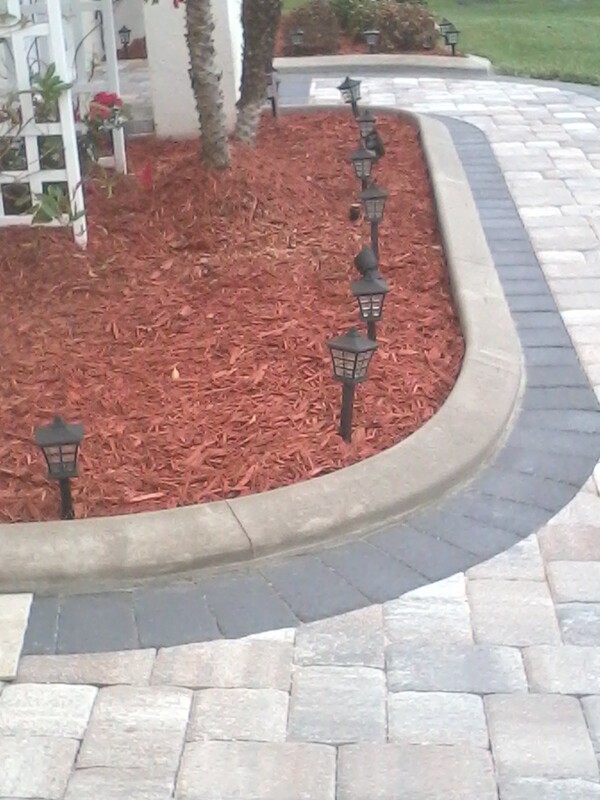 This entry was posted in Borders, Concrete, Concrete Borders, Curbing, curbs, Edging, Home and Garden, Landscape, Landscape Borders, Landscaping, Mulch, Sealing Borders and tagged Central Florida, Concrete Borders, Concrete Edging, concrete garden edging, Concrete Landscaping Borders, curbing companies, edging, garden edging, Kissimmee, Lake Nona, Landscape Borders, landscape design, Lawn and Garden, lawn landscape, Linear foot, Orlando, permanent, Poured concrete borders, St. Cloud, Stoneybrook, Waterford Lakes, Winter Park. Bookmark the permalink.